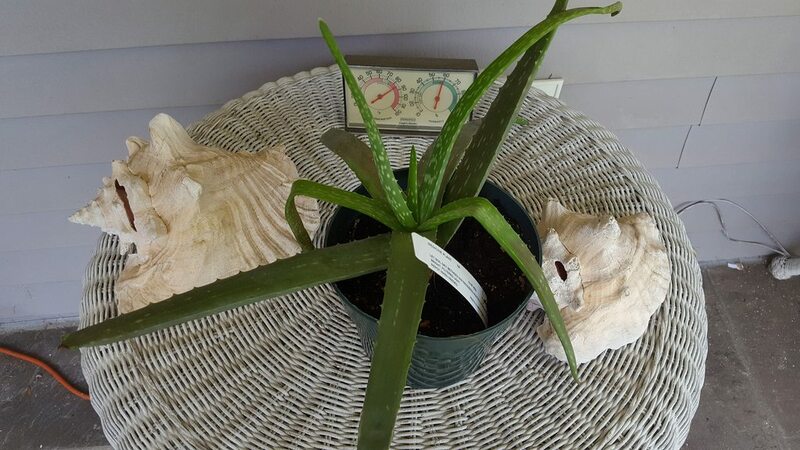 I have several Aloe plants that I have managed to keep alive up to now. The thing I have a hard time with is how much to water the plants. I water them roughly every 2 weeks but always have a hard time knowing how much water to actually give them. I am finding a few dead stems so I definitely am doing something wrong. Can anyone tell me how much water to give each plant? Open to any and all suggestions. Watering depends on plant size, potted or in the ground, soil type, in house or outside. Generally they like to be watered deeply then allowed to dry out before next watering. They're pretty forgiving. What I find hardest here in hell, Texas is keeping them looking green. They don't like full sun all day for sure or the heat that it brings. If they start to loose their luster or start looking less plump they may need water. I have so many things in pots and they lose soil out the bottoms over time. I let a lot of Aloe and other plants die. I have too many different types of pots and soils to treat everything the same at watering time. But, with so many, that's what I often do. Aloe is a succulent so they store moisture in their leaves. If the leaves look fat and round, then they've got too much water. If they're plump and firm, they're probably happy. If they're thin and limp, they want water. They need lots of drainage, they shouldn't sit in water or they'll rot. Plants shouldn't be watered on a schedule, they should be watered according to the condition of the plant and the soil it's planted in. 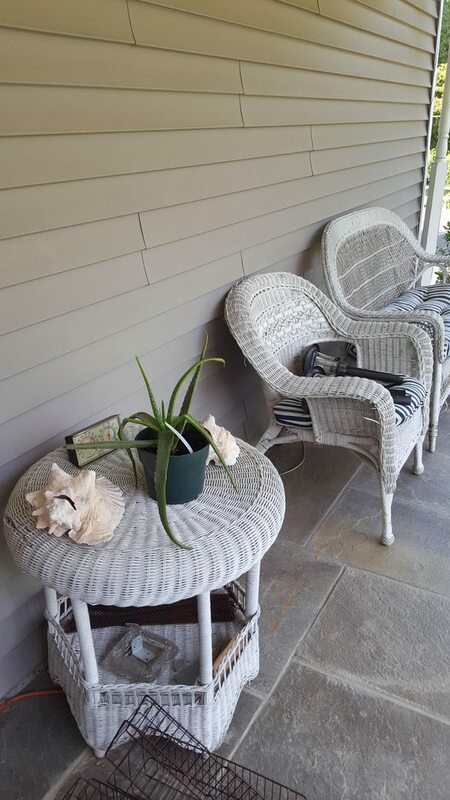 If you have multiple aloe plants, you could try watering one what you think may be too much, one that you think should be about right and one for what you think is less than it needs and then watch and see what they look like after awhile. Most of taking care of plants is just looking at them and seeing what they need. Thank you! I do have multiple Aloe plants in pots and they have done well until now. I just never know if I am giving them the right amount of water. I have several inside plants potted in individual pots. I use a succulent/cactus potting soil and they are beside a window to get sun. I will look at the article you provided. Thank you. In my experience it's better to under water them than over water. It gets very little watering unless its 85°+. I learned IT HATES the direct sun. Leaves turn faded and yellow. Only took a few hours or a day to realize this. So here is where I keep it now. No idea when I can harvest it and use the Aloe or how big it will get. 2 new shoots coming out of the middle past couple weeks. You can always just snip a corner piece off and it will seal. I've got tons of aloe in varying conditions and different exposures. I simply can't make them all happy. If you want them pretty and green they need some shade for sure. Another problem here in hot Texas is using black pots will roast the roots of anything you plant in them. I've tried painting many of mine white. Unlike many plants when you're sure the soil is dry soak it.